Kathy de Stafford has been the designer of choice for many Irish celeb brides including Jennifer Zamparelli. The multiple award-winning designer trained internationally, becoming an expert in cutting and clothes making under the tutelage of Irish, French and Arabic mentors while living in Ireland abroad. “Classical lines, subtle colour and use of luxurious and beautiful fabrics” are the hallmarks of her designs and each gown is made right here in Ireland, finished by hand to couture standards. Kathy recently unveiled a new jewellery collaboration with Fields Jewellers and also stocks several other coveted designers such as Pronovias, Riki Dalal and Inbal Dror in her Irish stores. 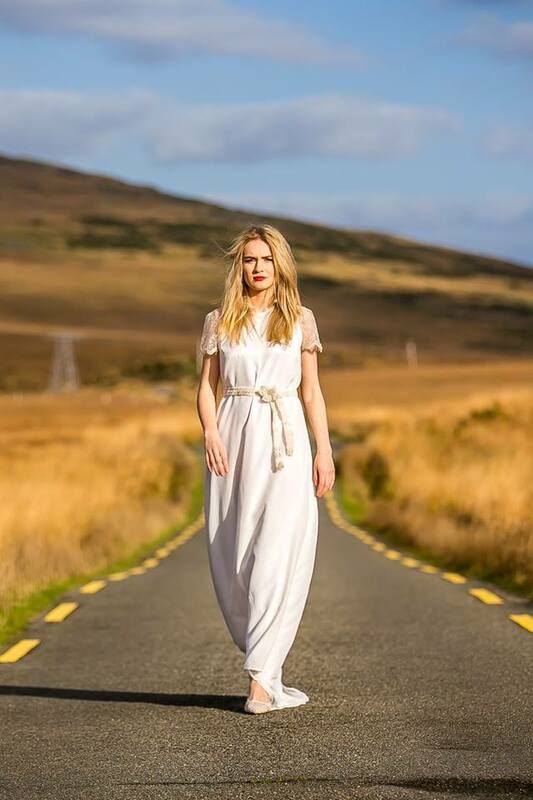 Award-winning French designer of couture bridal, cocktail and occasion wear, Delphine Grandjouan is based in Co. Kerry with appointments in Dublin also. Her Couture Bridal brand: House of Delphine has been lauded by fashion critics across Ireland and she has been described as “a couturier with a bohemian heart”. Her gorgeous designs are the epitome of understated elegance, channeling the motto “less is more”. Delphine’s yearly collections are instantly recognisable with exquisite fabrics, the most skillful couture techniques, hand-sewed details and high quality finishes throughout. Delphine’s service is very special – each wedding dress is sculpted individually from the finest Silk Satin, Silk Crepes and French Laces and is exclusively developed for each customer to reflect their individual personality and style. Aideen Cross has over 30 years of experience designing stunning wedding dresses for brides. All of Aideen’s creations are designed and produced at her studio in Rathangan, using only the finest fabrics and laces. Brides can choose a dress from her Couture Collection or can have a bespoke dress designed just for them to incorporate their own ideas and style. 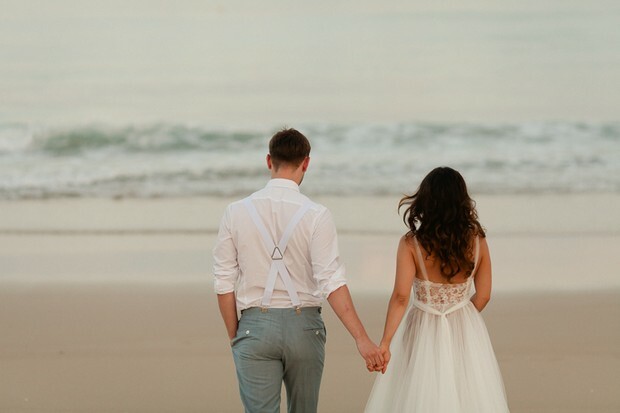 Aideen is incredibly passionate about designing and creating beautiful bridal gowns and will work with brides to ensure they’re 100% comfortable and happy. Aideen can also create veils and headpieces to complement the bride’s gown as well as dresses for bridesmaids, flower girls and the Mother of the Bride/Groom. Irish designer Gay dePaor of DePaor Designs has been designing bespoke gowns for many years. Gay has three stunning collections – Classic Lace Collection, Timeless Collection and the Eliza Collection with everything from vintage tea length numbers inspired by the 40s, 50s and 60s and traditional lace dresses using structured lines and boning to timeless, elegant gowns created using soft fluid silk crepe. As all the wedding gowns are made-to-measure, brides can mix and match the styles to suit themselves or include their own individual ideas. DePaor Designs also stocks BariJay and Christina Wu bridesmaid dresses. 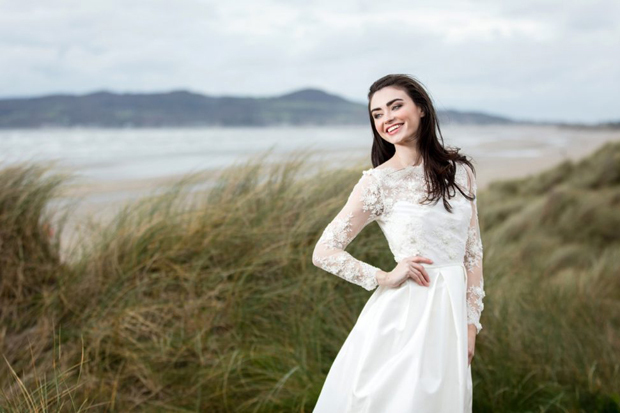 Award-winning Irish Bridal designer Anne Gregory‘s store is located in Newtownmountkennedy, Co Wicklow and has been designing ‘elegant bridal gowns with a modern twist’ for almost 30 years. Anne is all about that ’personal touch’, encouraging brides to express their own personal style and preferences through their wedding dress, with a bespoke gown that is unique to them. Quality of service is incredibly important to Anne so brides can expect undivided attention when it comes to appointments and she will advise on accessories to complete your look. In addition to her own line, Anne Gregory Bridal also stocks Badgley Mischka, Allure, Enzoani, Oksana Mukha, Sacha James, Tiadora and White Rose. 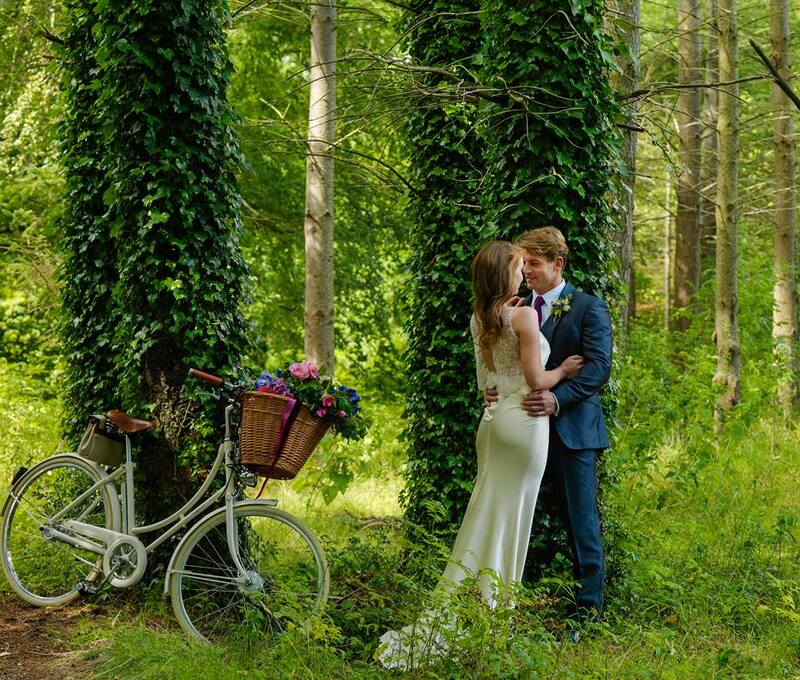 Hazel Comyn is a multi award-winning Irish designer specialising in Bridal Wear, Bridal Accessories and Handmade Lace with an emphasis on classic timeless elegance. Her designs are ‘simple with a sprinkle of enchantment’ and she takes inspiration from the beauty of the Kerry landscape. 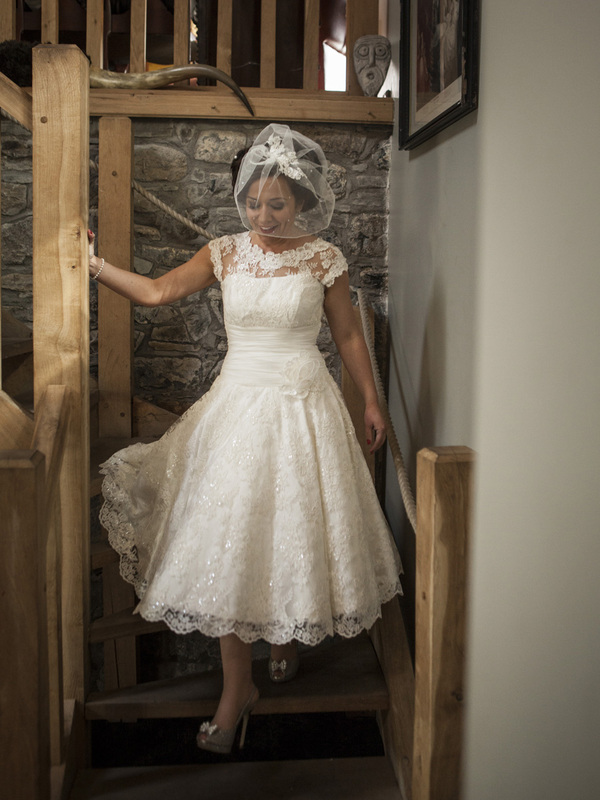 She has a love of Irish crafts, particularly handmade Limerick lace and Irish Crochet lace which she incorporates into her designs – some of her lace is handmade using traditional techniques and can be designed to include the personalities and stories of the bride who wears it. In addition to wedding dresses, she creates veils, bridal belts, capes and garters and specialises in wedding dress alternations. Irish designer Sharon Gregory established her design studio in Cork in 1996 and has picked up a string of awards for her designs along the way. Sharon’s studio is home to a range of gorgeous gowns from simple to elaborate and everything in between, with designs from her own line as well as dresses from Ronald Joyce, Victoria Jayne, Art Couture and Special Day as well as accessories. Brides that can’t find what they’re looking for can also avail of Sharon’s dressmaking service – she can design and create a one of a kind gown for you in-house to your specific requirements from the fabrics used down to the budget. Established in 1989, Tamem Michael is a leading Irish family-run design house. 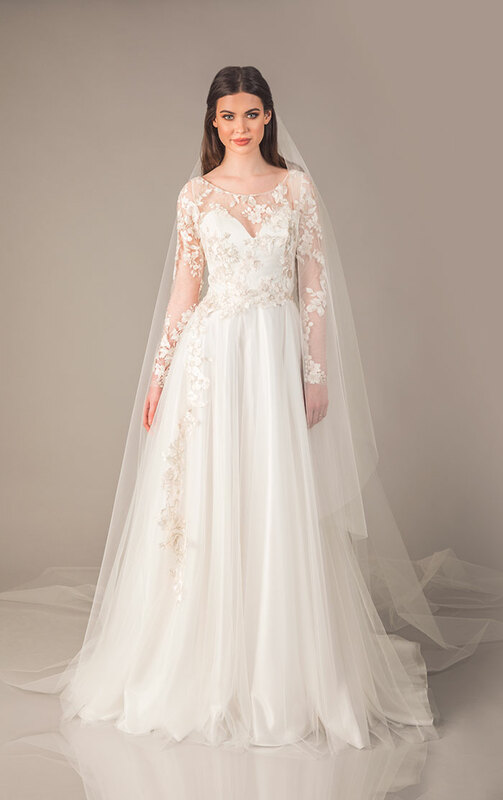 Their own stunning Irish designs are under the label of ‘TM Couture’ but they also specialise in made-to-measure gowns for brides after a unique creation, all of which are designed and produced in their studio in Dublin. Brides can create their own design by picking the top of one dress and the skirt of another or can make their dream dress vision a reality with a bespoke gown. They also stock many beautiful designs from other bridal designers around the world as well as bridesmaid dresses, evenings wear, veils and accessories and they specialise in alterations. Irish designer Fiona Todhunter is celebrating 19 years in business, designing beautiful bespoke gowns for brides. Fiona creates one of a kind designs for her brides, capturing the ‘individual style’ and personality of each client, starting with a careful consultation where she gets a feel for their style and unique qualities. Fiona uses high end and unusual fabrics and loves incorporating her signature hand-embellishing techniques to create “a truly ’once off’ designer label exclusive to each client.” In addition to her own line, her studio stocks dresses from Sophie Tolli, Tony Bowles, Rena di Montella Couture, Mon Cheri, David Tutera, Art Couture and Eternity Bridal. 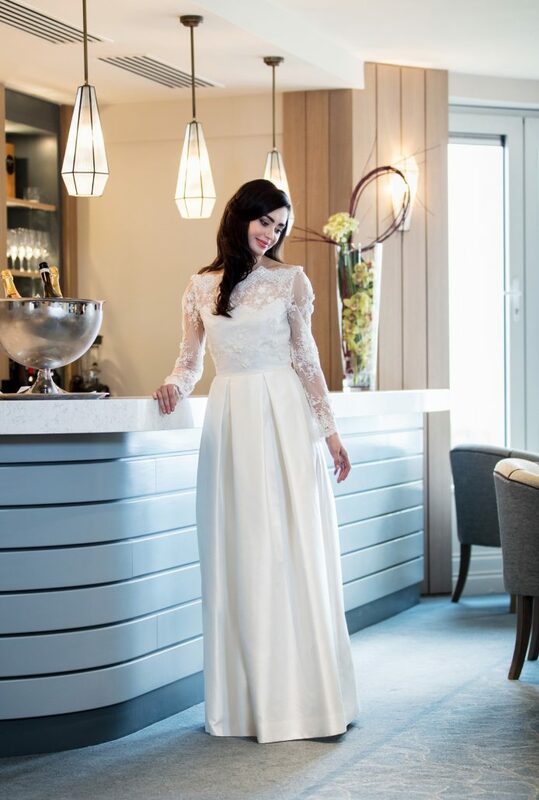 Roisin Cross Silks has enjoyed supplying the finest bridal fabrics and silks to Irish designers since 1978 and in recent years has added a wedding dress design service to their repertoire. 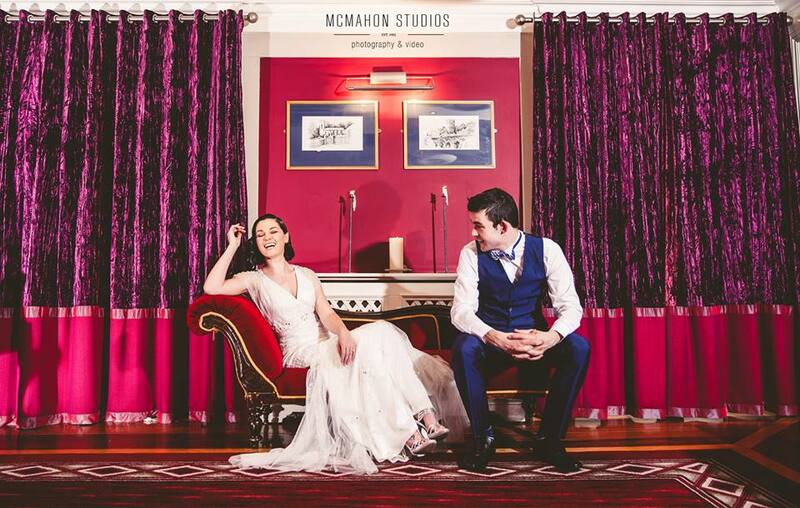 Their wedding design team is based in Deansgrange, Co. Dublin and brides can opt for the Bridal Dressmaking experience (they have a full collection of Vogue patterns that may be of use) or the Bridal Dress Design service. 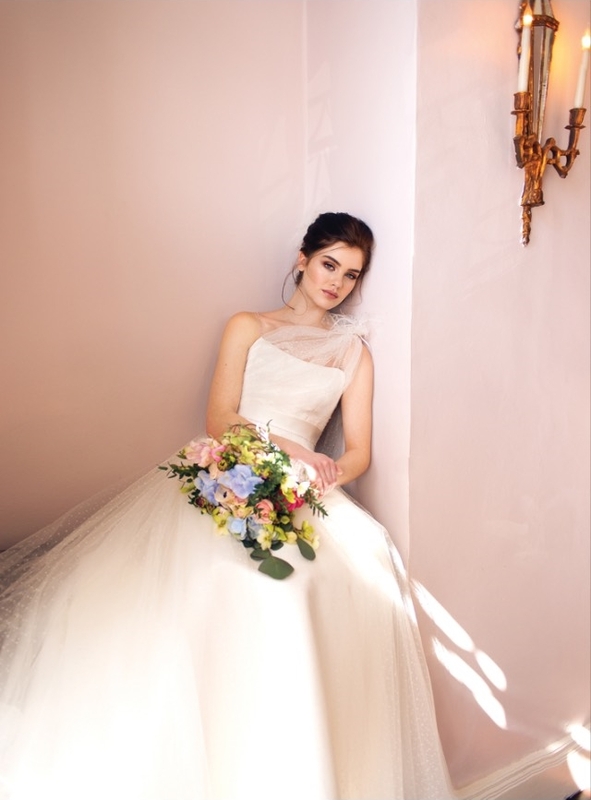 The Bridal Dress Design service is managed by the amazing Syan O’Mahony who can create a fully bespoke design based on your ideas and inspiration, using luxurious fabrics and trimmings. 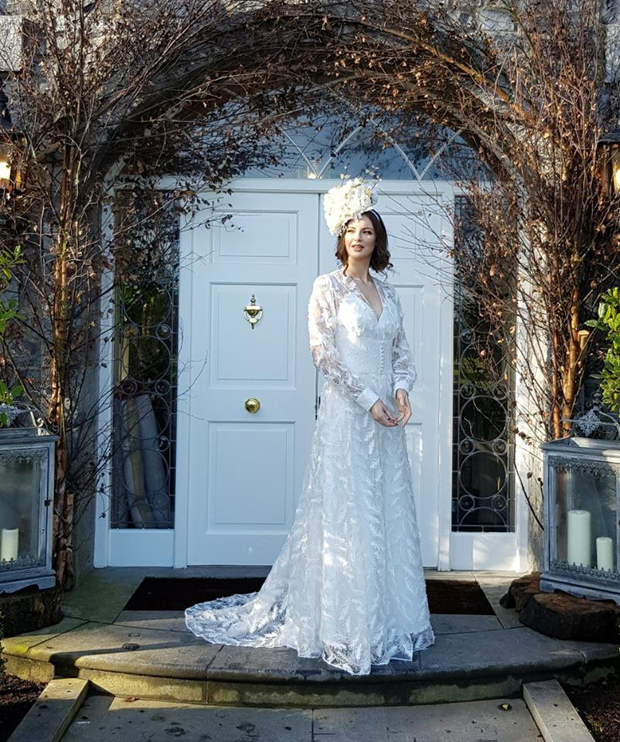 Working from her own studio in Naas, Sinead of Millicent Bride is a graduate of the Grafton Academy and has been designing and creating stunning bridal gowns for many years. All dresses are handcrafted and made-to-measure for each individual bride and bridal party. 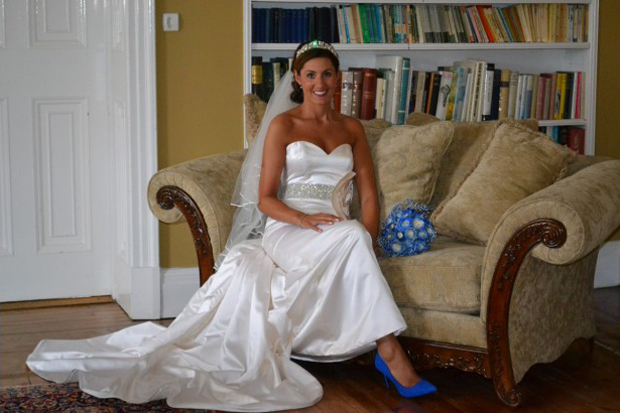 Sinead believes the personal consultation process is key, allowing her to create the dress of the bride’s dreams. She also provides a first-class alteration and pressing service, can create bespoke handmade beaded veils to complement the bride’s dress and stocks exclusive fabrics, laces, trimming, beads and tiaras from around the world. Irish Designer Sharon Hoey has over 30 years of experience in bridal design, providing brides with chic, modern and unique styles. Sharon studied at Grafton Academy and has been picking up many awards over the years. Her signature line Sharon Hoey is handcrafted in her Dublin studio using the finest fabrics to provide the very best in quality, structure and fit. The team are passionate about helping brides pick the perfect dress for them and stock several designers in addition to the Sharon Hoey range including Jenny Packham, Divine Atelier, Suzanne Neville and Rembo Styling. As all the gowns are atelier made, they can provide brides with a unique service.